Join us for a TUESDAY Cookbook Club meeting. 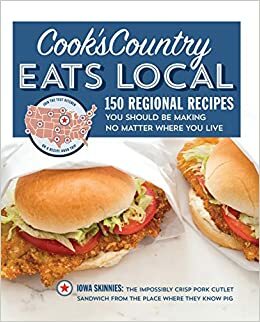 After you register, stop by the Reference Desk and browse this month's cookbook selection – Cook's Country Eats Local: 150 Regional Recipes You Should Be Making No Matter Where You Live. We will photocopy the recipe you choose so you can take it home to make. Bring the prepared dish to the meeting to share at a potluck-style meal. We'll eat, discuss the recipes, your experiences making them, any changes you would make, and more. The Cookbook Club will take place in the Library Kitchen. In order to keep costs and waste down, please bring your own place setting, utensils, and a beverage. The library will provide paper napkins and cleanup supplies. You may also bring a small container for leftover sharing (if there are any left).